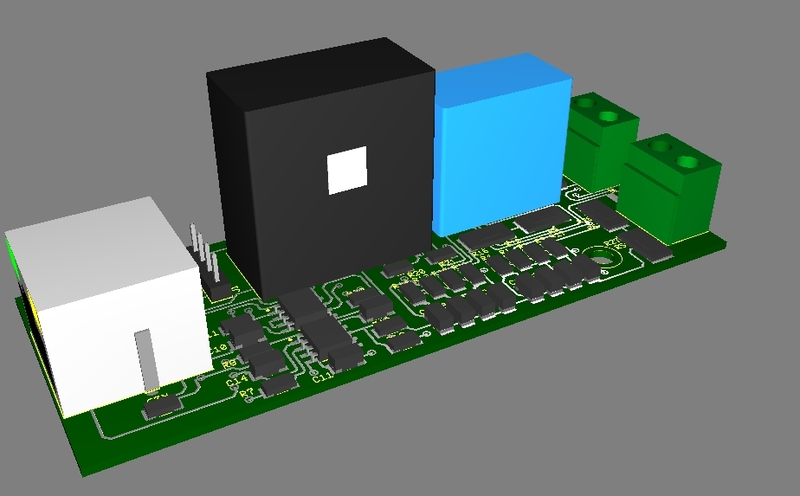 I'm developing Hardware and Software for a Universal electric power meter. Design for the current and voltage sensing is ready. I am looking for people who are willing to work together implementing FFT and Digital filtering functions reading various electrical parameters and displaying these on a web page using HTTP java script interface coming from a esp based HTTP server. A email function is needed to send out a monthly or daily report or inform about special events. Platform to be used is ESP32. If you have interest and would like to join the team let me know. below a picture of the voltage current sensor to be used. - Wed Sep 12, 2018 7:37 am #78191 I'm sure you will have looked at the aliexpress $12 Chinese power meters (100A) with sensing toroid. and a LCD display. They have most if not all of the features you require. I use 12 of them to display mains circuit usage in the house. Perhaps hacking one of these and adding the ESP32 to gain WiFi Bluetooth features would keep cost under $20. There would be a main panel readout from the $12 units LCD and then a web browser readout via the esp32. picstart wrote: I'm sure you will have looked at the aliexpress $12 Chinese power meters (100A) with sensing toroid. and a LCD display. I agree these are nice meters but that not what i'm looking for. Do you have and idea how to hook these up to a ESP32 because I don't see a interface fro it.